Charleston For Kids: Things To Do For The Whole Family! At a glance, here is a list of the top five in Historic Downtown… but keep reading because there is so much more out there for your little ones! Charleston is sometimes mistakenly thought of as a place for the sophisticated grown up. 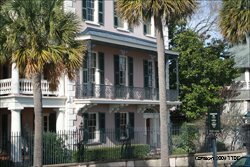 Looking at the overall attractions available can give the impression that there is not a lot to offer in Charleston for kids. Nothing could be further from the truth. 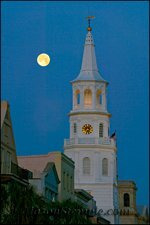 Remember, children are like sponges and since Charleston is rich and alive with history and the flare that goes along with it, Charleston becomes one of the best places for children to dive in, touch, see, smell and just plain absorb a part of American history. There’s no better teacher than a hands on experience, which is just what Charleston provides! Children’s Museum – Kids of all ages can interact with exhibits that foster creative thinking and problem solving within the arts and sciences. Fort Sumter National Monument - It may not be what you do when you get there, as much as what you do TO get there! The ferry ride out to Fort Sumter is just as exciting as the tour itself. You may even be lucky enough to see dolphins escorting the way. Old City Market – While some shopping here may be for mom and dad, there is an allure for children to the great candy stores and of course Ben & Jerry’s or Hagen Daas Ice Cream stores along Market Street. Old Exchange and Provost Dungeon – Storytellers entertain all ages with tales about pirates and patriots who were imprisoned here. South Carolina Aquarium – Children get up close and personal with sea, land and air creatures through exhibits that take you through their Lowcountry habitats. The touch and feel tank offers the young a chance to get personal with stingrays, horseshoe crabs, sea urchins and others. USS Yorktown - Patriots Point Naval & Maritime Museum – The sheer excitement of standing next to these war ships, planes and submarines get the kid’s juices flowing. Touring them takes it to a whole other level of fun. 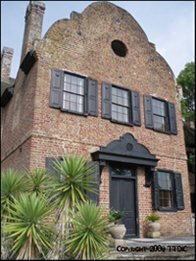 For details on hours of operation, pricing and location, check out our Historic Charleston "Must See" Attractions page and our Charleston Museums page. Plantations make a great playhouse! Not only is there usually a lot of space to run around, but there are new and fascinating things to look at that get children asking questions. Boone Hall Plantation – Children can harvest their own berries, pumpkins or other seasonal delights. Cypress Gardens – Swamp boat rides, nature trails, butterfly house and aquarium/ reptile exhibits. Drayton Hall – a GREAT adult tour, but more for the older child who is fascinated with architecture and history. Magnolia Plantation – the petting zoo, train and boat ride all are kid favorites here. Canoe and bike rentals are also favorites for older children. Middleton Place – a working plantation that lets you milk a cow, take place in a re-enactment of history with working craftspeople and view the free range farm animals. 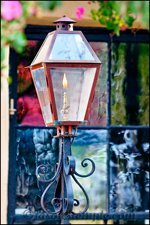 For details on hours of operation, pricing and location, check out our Charleston Plantations page. 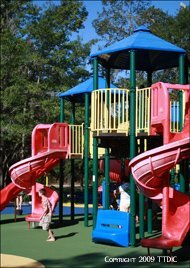 Charleston Parks are another great outdoor adventure for kids. The variety of things to do are endless. Battery Park/White Point Gardens – At the southernmost point of Downtown, this park is both shaded and sunny, offering great open air fun. Old canons and the gazebo adorn the park which overlooks Fort Sumter. Charles Towne Landing State Historic Site – It’s a good chance you’ll see alligators, wolves, bison, bear and otter in their natural habitat here. Demonstrations of craft-making are also displayed. James Island County Park - Hiking and biking trails, Splash Zone water park (open seasonally in the summer), playgrounds, fishing, a climbing wall and of course… wide open spaces. North Charleston Wannamaker County Park - Hiking and biking trails, Whirlin’ Waters water park (open seasonally in the summer), two playgrounds, 20-foot play hill and open meadows. Palmetto Islands County Park – A mile long wilderness trail, wooden playground, Splash Island water park (open seasonally in the summer) and canoe and pedal boat rentals. Waterfront Park – Kids get a kick out of running through the fountain. They can even watch for dolphins from the pier while you relax on the many wooden swings overlooking the harbor. For details on location, check out our Charleston Parks page. Charleston Beaches that are kid friendly are easy to find, basically because every beach in Charleston is great for kids. However, the below beaches are less subject to heavy rip currents, have easy access facilities and lifeguards on duty during peak summer season. For details on hours of operation, pricing and location, check out our Charleston Beaches page. 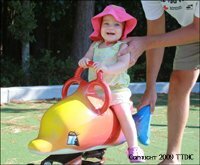 Please share you favorite things to do in Charleston for Kids! If you don't see something that should be here, please let us know by filling out the form below. Your contributions help other families with their trip planning! Having kids yourself means you know the frustration of not having great options, so thank you in advance for helping other parents find the best things to do in Charleston for kids while visiting the Lowcountry! Thank you for visiting Things To Do In Charleston For Kids!